SharePoint was pretty clunky in the noughties, but now it’s racing ahead and the premier Document Management System integrated with Office – about time too. SharePoint 2016 – On-Prem is not dead! 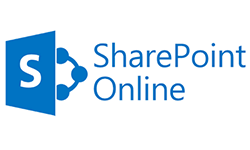 Contrary to rumour, on-premises SharePoint is not disappearing! SharePoint SQL Disaster Recovery – uh oh! You may have a nice satisfied feeling from knowing you have SharePoint .BAK backup filesets… but…!